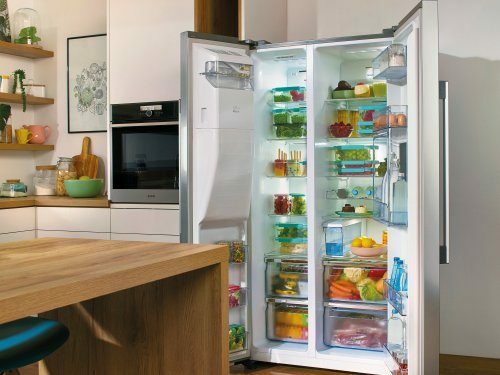 Efficiently designed interior offers enough space for larger quantities of food, saving you the frequent shopping trips. The food can be easily organized on glass shelves, in large drawers, or the bins on the inner wall of the door, meaning you can always see what's available and waste less. Inverter compressors are quieter, more durable and consume less energy as compared to a conventional compressor. 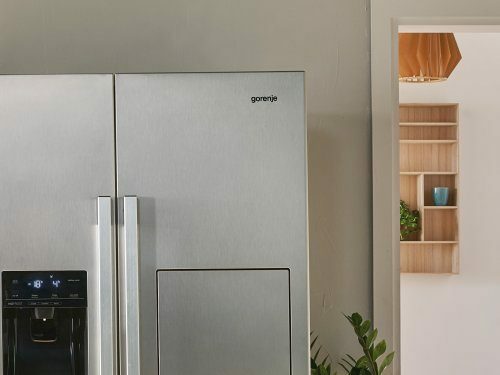 They adapt better and faster to temperature changes inside the refrigerator, for example when the door is opened, which means less temperature fluctuations and better storage conditions for your food. Large and clearly laid out LED display allows instant control over the temperature settings. 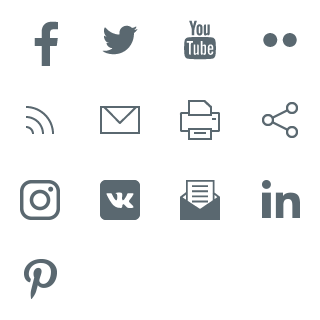 Features like FastFreeze and HolidayMode can be switched on with a simple touch. And in case of a sudden increase in temperature an integrated alarmwill warn you right away. 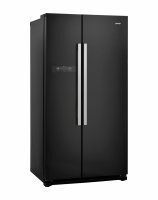 With the counter depth design, this fridge freezer will fit elegantly into your kitchen, while still offering a very large storage capacity. LED lighting in refrigerators provides excellent and highly efficient illumination as it has a much longer useful life and uses significantly less power than conventional light bulbs. Freezing large amounts of food? The FastFreeze function freezes the food at -24 °C to preserve the minerals in the food and retain its quality. 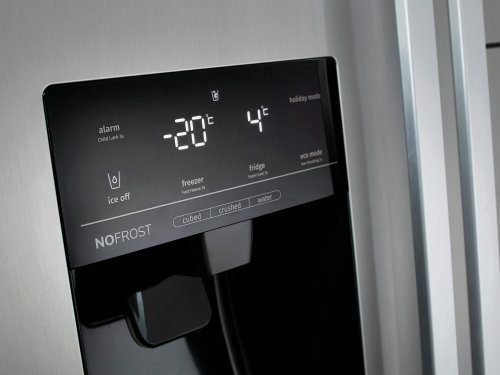 After approximately 26 hours, the function is switched off automatically and the freezer compartment temperature returns to the initial setting. 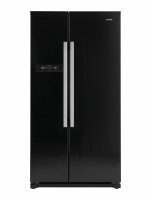 The fridge freezer operates at noise level which is as quiet as a whispered conversation between two people. This quiet operation is a result of excellent insulation and innovative solutions of the cooling system.